Fat is the enemy and these are your weapons! Below is a big pile of STUFF THAT ROCKS - any purchases you make here will help to support the podcast and everything we are trying to accomplish. We can do this, together we can beat down that fat once and for all! Keep checking back-- new items are being posted all the time! Thanks! This scale is a great tool to help you decipher if the weight loss or gain you are seeing is made up of water! This thing is so awesome! Put this bug on your arm all day, and it's like having a clear stomach! Look down to see if you've eaten enough food, and ask it if you need to exercise more. Burn more calories than you consume, and you'll lose weight - it's just simple math! This is so easy to use, and it's so much fun. I use this every single day! Awesome product! 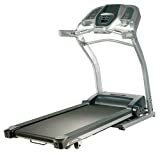 Worth every single penny - this is a great machine that will get you in shape extremely fast! When the weather's bad outside, there are no more excuses, and I love that! This DVD will really get your heart rate up! Carry a set of these around with you while walking, jogging, or just sitting! You'll burn more fat, and you'll tone your arms. Strap these babies around your ankles or wrists and get a killer workout! 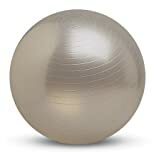 This will help you do a variety of exercises including crunches with no tail bone pain! These poles will help you burn 30% more calories while you walk! 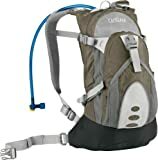 Grab an extra bladder to hold more water in your backpack! This is a MUST when hiking or walking for long distances. Get an additional bladder for your dog or your hiking buddy! Use one of these pedometers to track your walking/running progress! 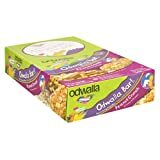 These crackers aren't the best when you're just eating them out of the box, but they are a great staple that I use in a lot of recipes instead of breadcrumbs, etc. Ok-- here it is. This is the product that will save you hundreds of dollars each year, and will provide you with countless pancakes, cookies, breads, muffins, and other baked goods! Each teaspoon of this egg replacer added to 2 tablespoons of water creates the equivalent of one egg. Yet, these "eggs" are cholesterol free, fat free, and have 15 stinkin calories!!! You have GOT to have a box of this in your cupboard-- just one box will last you forever because there are 120 "eggs" in there!!! Holy Cow, you MUST try this! A little goes a long way, so don't freak out over the price. It's THAT good! Completely vegan, totally delicious, and a dessert that's actually good for you-- how can you beat that? If there was a way to give this product a million stars, I would. Without a doubt, the best tasting snack I have ever eaten. They are SO low in calories.... if you went crazy and ate the whole (big) bag, it's only 300 calories! They taste like those elephant ears you can get at the fair. There are 24 bags in this lot, and trust me, you will want more!!! PLEASE try these! This cereal is truly delicious, and the bags are huge, so you are getting a lot for your money here. It's gluten-free, sugar-free, and flavor-full! It's sweetened with fruit juice, so your body will really respond by keeping you full longer. I eat this every single morning with 1/2 cup of frozen blueberries, yum! Holy cow, this is so delicious! 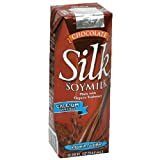 This particular style of soymilk doesn't need to be refrigerated, so you can pack them around wherever you go. The chocolate version is so rich and creamy! This stuff will amaze you! It comes from a cactus! 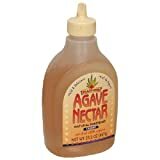 It's a light, delicious sweetener that is low-glycemic, and a perfect alternative to refined sugars and honey. 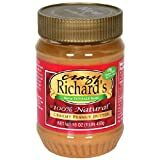 Once you start eating all natural peanut butter, you'll never go back to the processed brands again! It's just nuts people-- chopped up nuts! It's really delicious! These are a perfect snack-- have one for breakfast, or just after a long workout. They are really delicious! This is the most amazing food ever! These protein chunks are SO delicious, they are low in calories and have ZERO fat! The price may look steep, but this is for a case of 8 bags-- which will last you a very long time! You have to try this! Two great tastes in one bite! Save a little money and buy this combo box that includes both Skinny B**ch and Skinny B**ch In The Kitch. Awesome recipes! This books makes being healthy TOTALLY easy. You won't believe how easy it is to make delicious, low-calorie, and low-fat meals! Awesome book! This book will help you count the calories of the foods that you are thinking about eating. Know thy enemy! This invaluable reference guide lists the exact number of calories in over 14,000 foods and 200 fast food chains and restaurants. Don't leave home without it, and you'll always be able to tell your friends from the bad guys. Let's get this party started with a brilliant book that kicks a**! If your sick of denial, and you want the absolute truth about the food you're eating and what it's doing to you, pick this book up and start living healthy! Available in paperback or as an audiobook download in iTunes - download it now to save on shipping and start listening in seconds on your computer or iPod! I use this to grind up my flax seed! The one I have is half this size-- but these things are fantastic. 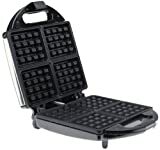 It's so much easier to make vegan waffles that you would think! This is a must-- it's so easy to read! 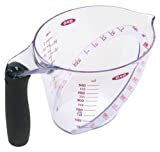 This is SO easy to use, and takes the guessing out of measuring food! 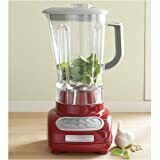 This is the blender I use to make my delicious smoothies! Shop for more at Amazon.com!